When I spotted these cheek products from Physician's Formula, my first thought was that these look too pretty to be from the drugstore. 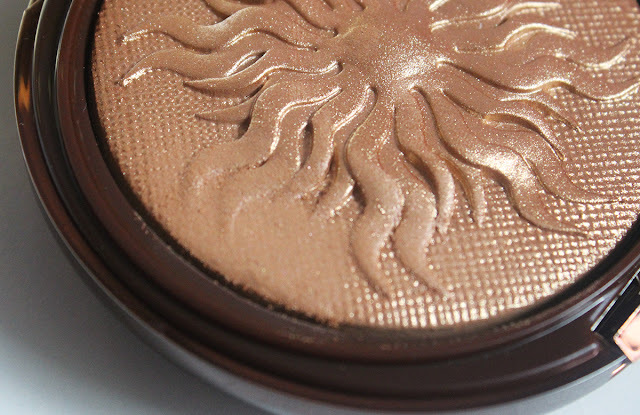 The Bronze Booster Glow-Boosting Airbrushing Bronzing Veil (what a mouthful) caught my eye because the texture of the powder looked like the Mac In Extra Dimension formula. These aren't new releases from Physician's Formula but I don't believe I've seen any reviews or swatches before. I thought both of these would be lovely for the summer so I scooped them up when Rite Aid was having a BOGO sale a few weeks ago. To my dismay the metallic finish of the bronzer is simply an overspray. I purchased the shade Light to Medium in the hopes that it might be a highlighter when I'm at my tannest skin tone. Alas, this is not meant to be a highlighter and suits my skin as an all over bronzer. Under the ultra shimmery overspray, the rest of the bronzer still has a distinct pearl quality. 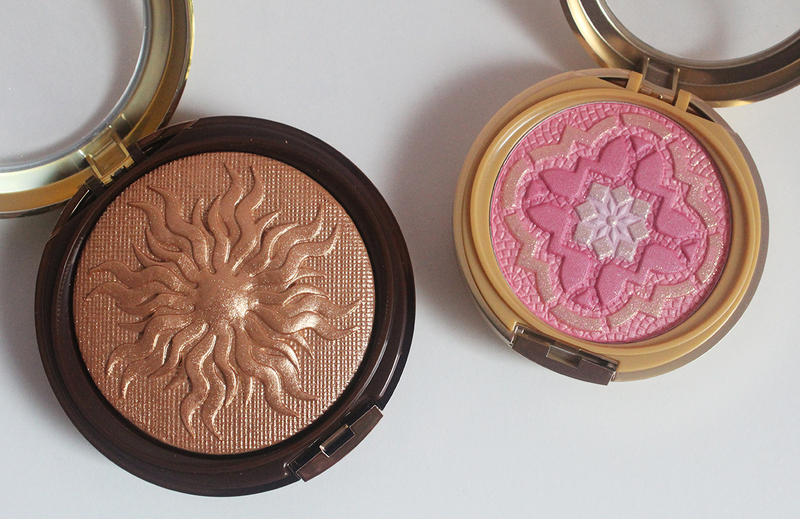 The bronzer gives a true glow without looking shimmery or glittery. I've been using it alone as a bronzing contour and it doesn't highlight pores or imperfections. 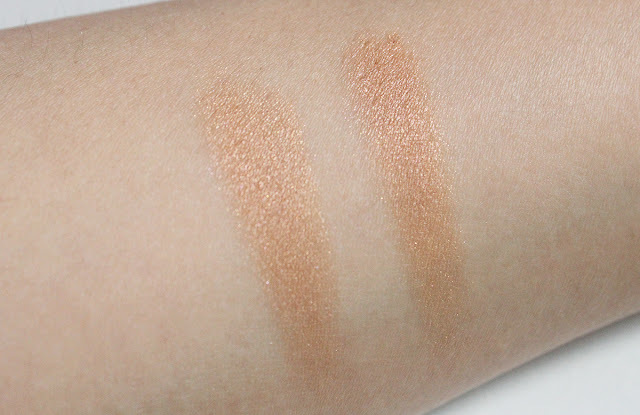 The swatch on the left is the color of the overspray and the right side is what the true bronzer looks like. This bronzer definitely leans warm and isn't the best if you want to chisel natural looking cheek bones. 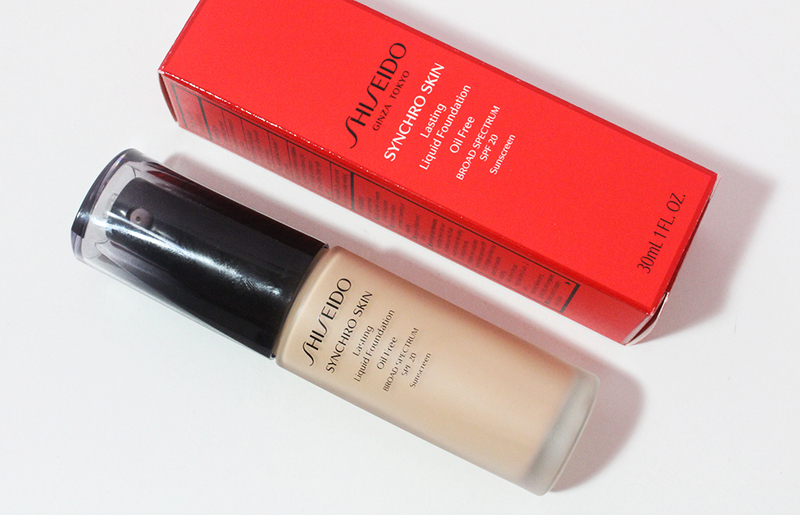 What it is great for is adding a healthy, tan glow to your complexion. If you want to accentuate a summer tan, this would be perfect. If you're one to wear makeup to the beach or pool, you could use this over your face and body as well since you get 12 grams of product and you're only paying about $15. I used the bronzer in my most recent Get Ready With Me and First Impressions video. I layered it over a matte bronzer but I find that I don't really need to do that since the shimmer doesn't translate into sparkle on the skin. The Argan Wear Ultra-Nourishing Argan Oil Blush also has a gold sparkly overspray which you can see in the very first photo in this post. I took a brush and gently brushed away the top layer of product so you could see what the blush actually looks like. I chose the shade Rose, a vibrant pink that looks almost intimidating in the pan but with a light hand, it looks very natural on medium to deep skintones. Another thing I should mention is that this blush has a distinct exotic perfume scent. I don't particularly enjoy it but you can't smell it when you're wearing the product. 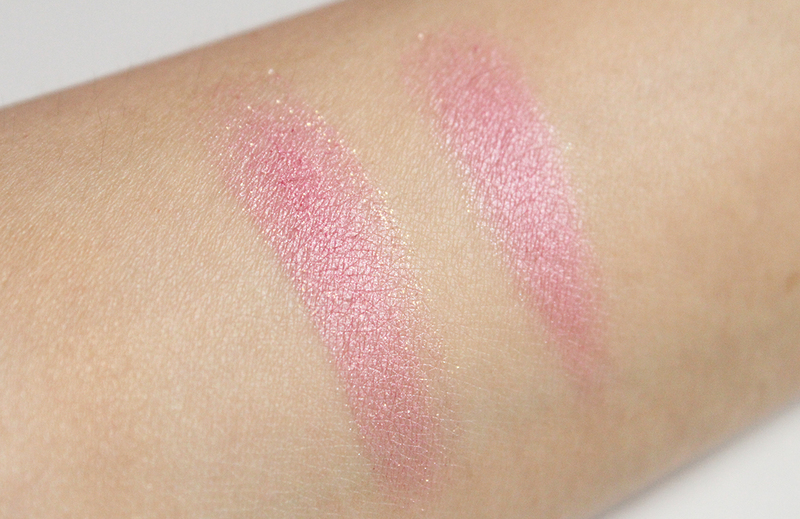 Again, on the left we have a swatch of the blush with the overspray and on the right is what the blush looks like without the glittery accents. Even after dabbing my brush in the pan and wiping away all of the overspray, there are still bits of shimmer and glitter that wind up on my face. The blush has a satin finish but the pesky glitter particles linger. Despite this, I really like the color of the blush and the satin finish doesn't look too shiny but definitely gives the cheeks a nice brightness. Although the color is quite deep in the pan, the pigmentation is not too strong and you can lightly build up the color to whatever intensity you prefer. 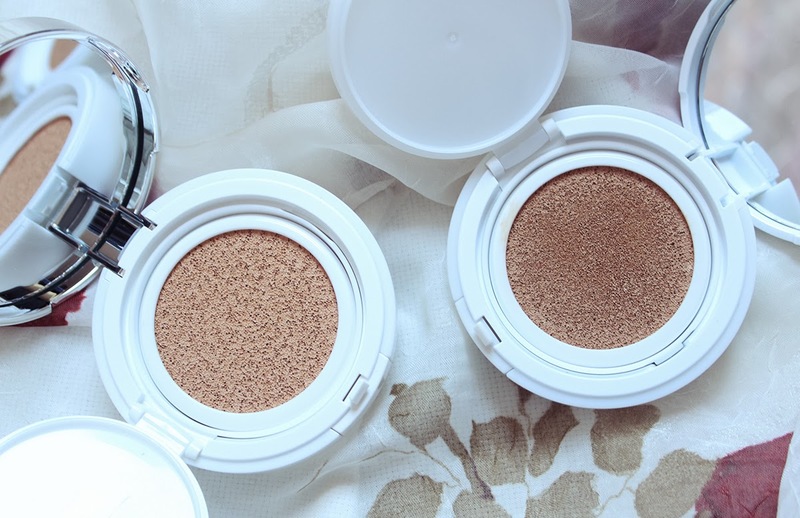 These are two fantastic cheek products by Physician's Formula and I'm consistently impressed by their face powders. 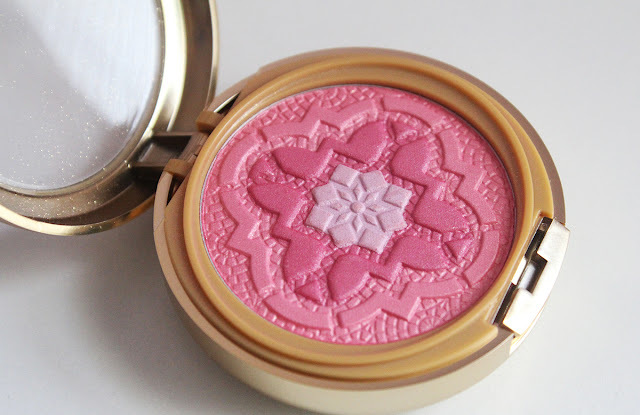 If you seek a healthy summer complexion, head over to the drugstore and check out this bronzer and blush because they're worth every penny!